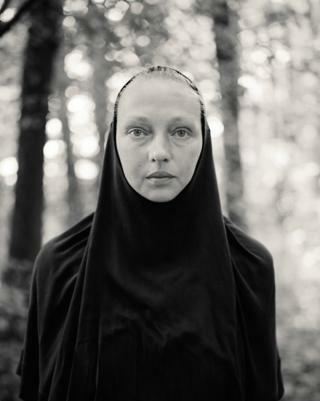 The winners of the professional category of the 2018 Sony World Photography Awards have been announced, with British artist Alys Tomlinson named as Photographer of the Year for her arresting series on pilgrimages. 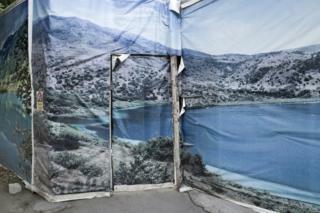 Alys, 43, was awarded $25,000 (£17,600) for her series Ex-Voto. Her work featured portrait and still life images on the religious offerings that are made at pilgrimage sites in Lourdes (France), Ballyvourney (Ireland) and Grabarka (Poland). The judges praised her “beautiful production, technical excellence and sensitive illustration of pilgrimage as a journey of discovery and sacrifice to a greater power”. Other winning photos documented worldwide cultural and political events and showcased the natural world. Take a look at a selection below. Image caption Balazs Gardi won first place for this frenetic scene of horsemen fighting for a headless calf carcass in Afghanistan. 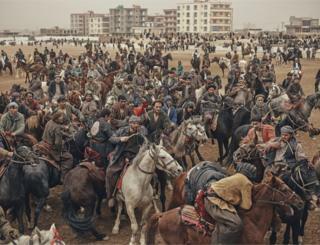 The activity is part of a buzkashi match, a sport where riders battle for control of an animal corpse that they compete to move to a goal. 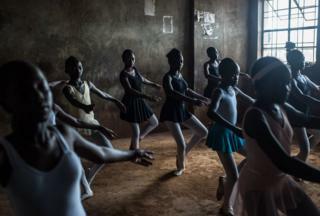 Image caption Fredrik Lerneryd was awarded first place in the Contemporary Issues category for an image of a ballet class at Spurgeons Academy, a school in Kibera in Kenya. 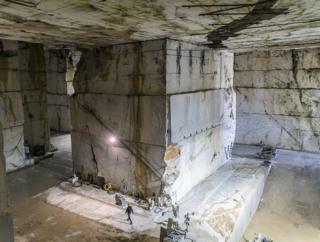 Image caption Luca Locatelli shot this view of The Calacata Borghini quarry in the village of Torano, Italy, where expensive marble is mined. Locatelli, who won first prize in the Landscape category, calls the image a “a self-contained universe of white, simultaneously industrial and natural”. 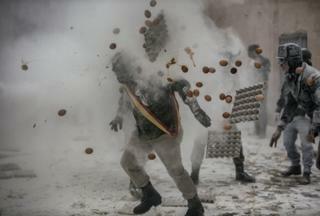 Image caption The Floured War in Ibi, a province of Alicante in Spain, was the subject of this action shot by Antonio Gibotta. The festival enacts a coup d’etat linked to the day of the Massacre of Innocents, when Herod, king of Judea, ordered to kill each baby to find Jesus. 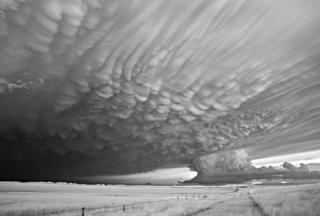 Image caption Mitch Dobrowner earned second place in the Natural World & Wildlife category for storm clouds gathering in Bolton, Kansas, USA. Image caption An elderly woman is driven through Mosul, Iraq, as the Golden Division help her flee the front line of conflict in extreme heat. 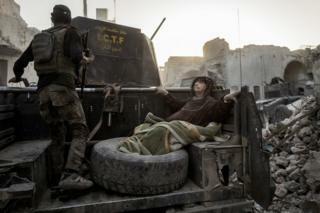 Rasmus Flindt Pedersen won third place in the Current Affairs & News category. Image caption Tomasz Padło shot this optical illusion in Kazakhstan, which Padło says relates to the authorities “trying to change the negative image of Kazakhstan, promoting; among others; its natural attractions”. 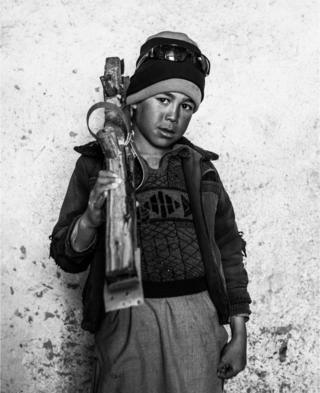 Image caption Andrew Quilty won third place in the Portraiture category for this image of nine-year-old Atiqullah with his skis, in the village mosque of Aub Bala in Afghanistan. 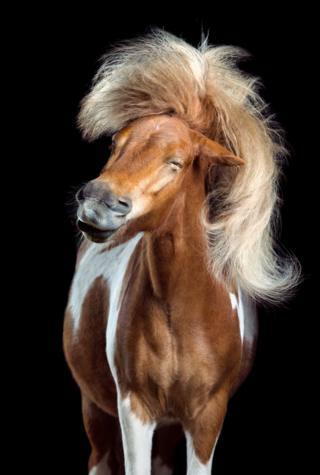 Image caption For this photo entitled Perfect Toupee, Anton the horse was tickled in the ear to get him to shake his head, making his mane look like a hairpiece. When making this series, German photographer Wiebke Haas says she “focused on a great face and a harmonic choreography of the hairs”.